Kia Canada is the Official Automotive Partner of the Canadian Hockey League, driving the future of our nation’s favourite sport, on the roads and on the ice. QUEBEC CITY, Oct. 3, 2018 /CNW/ – The Canadian Hockey League in association with Kia Canada Inc. are proud to announce a new partnership whereby Kia Canada becomes the Official Automotive Partner of the Canadian Hockey League, Western Hockey League, Ontario Hockey League, Quebec Major Junior Hockey League, as well as new presenting sponsor of the Memorial Cup. The new partnership officially launches today with media events in Quebec City and Calgary where the logo for the 2019 Memorial Cup Presented by Kia was unveiled and the host city for the 2020 Memorial Cup Presented by Kia was announced as Kelowna, British Columbia. Kia Canada will also have the opportunity to engage with CHL fans and communities across the country as an associate partner of the CIBC Canada Russia Series and the Sherwin-Williams CHL/NHL Top Prospects Game. Throughout the regular season, they will help spotlight some of the league’s best teams with feature content and title sponsorship of the CHL’s popular weekly top-10 rankings, and then join each regional league as a playoff partner during the stretch drive towards the Memorial Cup Presented by Kia. With commitment to community top of mind, Kia Canada will also present Humanitarian of the Year awards in all three leagues and to a national recipient at the annual CHL Awards Ceremony. With the dominance of SUVs in today’s automobile market, it seems like most manufacturers forget that many drivers are looking for a safe, reliable ride that fits with their contemporary lifestyle. That’s where the 2018 Kia Rio comes in. It provides you with the excitement a modern car brings with the unbeatable warranty that Kia is known for, all in a cost-effective package. With plenty of room for adults in all seats, the Rio offers enough space for even the tallest of passengers. If you’re looking to haul additional cargo, the hatchback model brings a total of 32.8 cubic feet to the table once the seats are laid flat. Plus, 2018 introduces an an even quieter ride with a sound dampening cabin to keep the noise of the road outside while your favorite tunes blast on the upgraded sound system. Using a tried-and-true design, all models of the 2018 Rio are powered by Kia’s direct-injected 1.6 liter inline four cylinder engine. Its 130 horsepower is managed by a standard six speed transmission, with a manual option on LX models. You get buttery smooth gear shifting in Sports mode, with the benefit of combined 32 mpg fuel efficiency. If you find yourself enjoying the acceleration a bit too much, the anti-lock braking system with give you the added security of quick and uneventful stops. Completely tricked out, the 2018 Rio has a beautiful and responsive 7 inch touch display, utilizing both Apple CarPlay and Android Auto to their fullest. 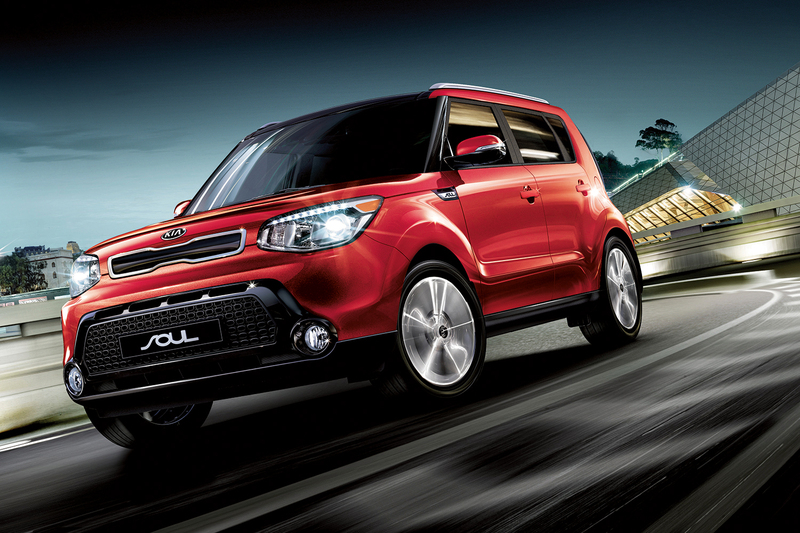 Aluminum wheels and a six-speaker sound system will ensure you’re at the top of your game cruising the streets. Most importantly, this all comes in an affordable package that will get you on the road without leaving a serious dent in your wallet. At Scarboro Kia, you’ll drive off the lot satisfied you’ve got the best sedan or hatchback in its class. If you’re looking for the car to get you where you want to go in affordable style, look no further than the 2018 Kia Rio. With SUVs and pickups garnering so much attention, it’s easy to forget that subcompact cars are still a necessary segment of the population. 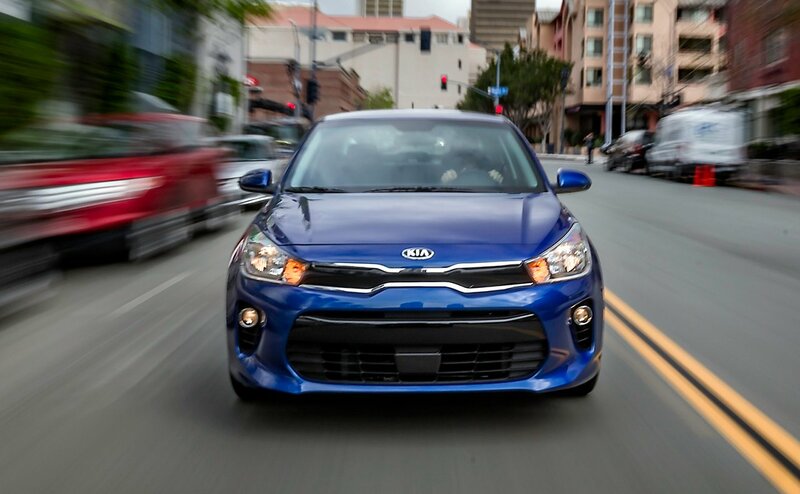 If you’re in the market for a simple and stylish subcompact car, then the 2018 Kia Rio is the perfect car for you. With a sturdy build and a budget-friendly price tag, the Rio stands out from the competition. The 2017 version was Kia’s best-selling car worldwide and they’re hoping to continue that trend with the redesigned 2018 version. 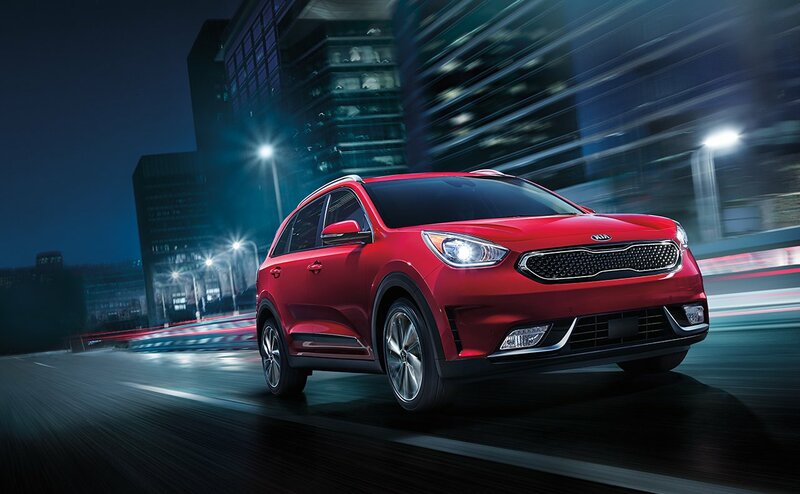 Here’s what we at Scarboro Kia think you should know about the Rio. The 2018 Rio is agile and does well around corners. While the overall power may have decreased from previous versions, the acceleration speed has improved in the 2018 model. The Rio provides adequate head and legroom, and taller individuals will feel comfortable sitting in the front or back. Many people may look at the plastic in the Rio as being cheap, but it’s far from that. The interior is solidly built, and the dash and gauge cluster look interestingly upscale. Overall, the interior presents itself better than other costlier options in this class. While the hatchback model offers more cargo space than the sedan, storage space for the Rio remains average for its class. For everyday use, this space is more than adequate. The base model comes with a 5-inch display while the more luxury trims such as the EX boasts a 7-inch display along with Kia’s Uvo infotainment system, Apple CarPlay and Android Auto. While the base model is plenty good enough, we recommend paying a bit more for the higher models to take advantage of the upgrade in technology. Overall, we believe in the Rio’s ability to perform reliably every day. Feel free to give us a call should you have any additional questions.